Okay so I thought I'd get back to basics and make a little kit on my makeup essentials. 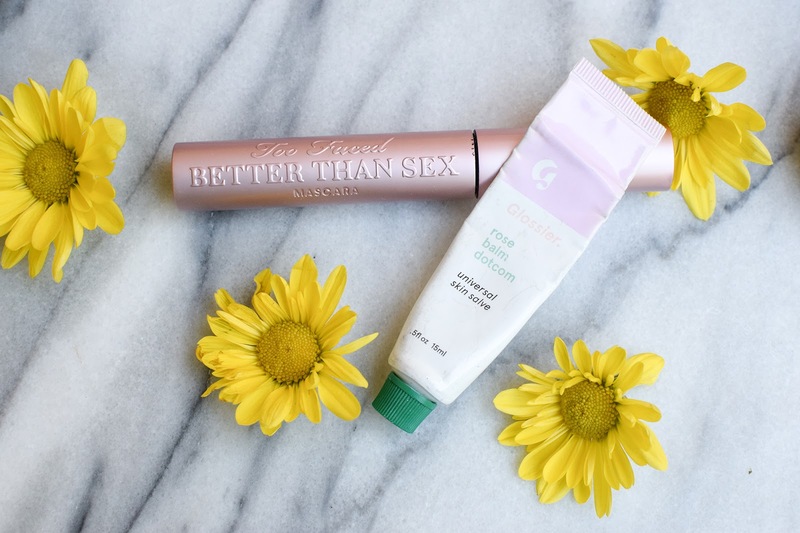 These are the things I find most important in my makeup routine, and the items that should be in every beauty fan's arsenal. 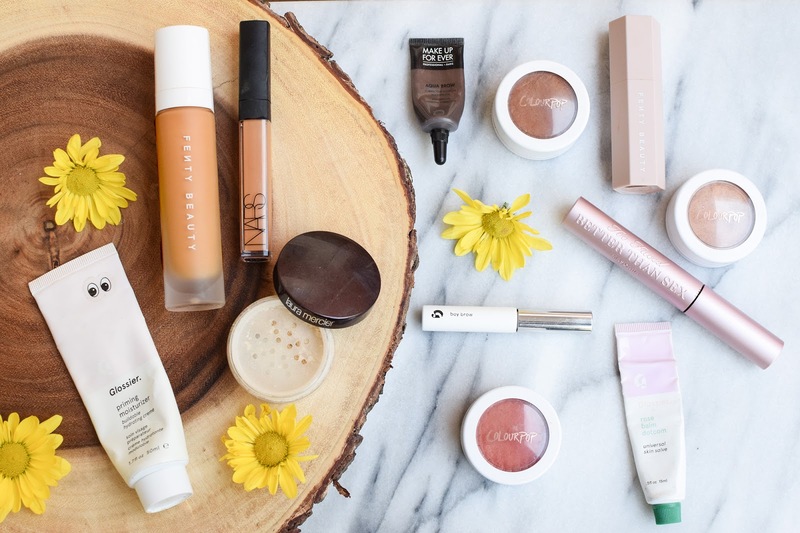 An overview of all of the products that you need: primer, foundation, concealer, powder, eyebrow products, blush, bronzer, highlighter, mascara, and lip balm. That's not too much, right? Let's get a bit more in depth with this. Let's start out with the base. This is basically the most important part of your makeup routine. It's what gives you the look of smooth, perfect skin. We all know by now that I'm not a fan of primers, but I love a priming moisturizer. This offers a nice base for the foundation to stick to while providing your skin with hydration and moisture so that it doesn't dry out (like traditional primers). Next, you want to make sure to have a foundation that is a perfect color match. Skin tones change depending on what season you're in or depending how much or little sun you're getting. Make sure your foundation matches your undertones, and if you're getting shade matched in a store take a step outside into natural lighting to get a better look. The same concept applies for concealer! 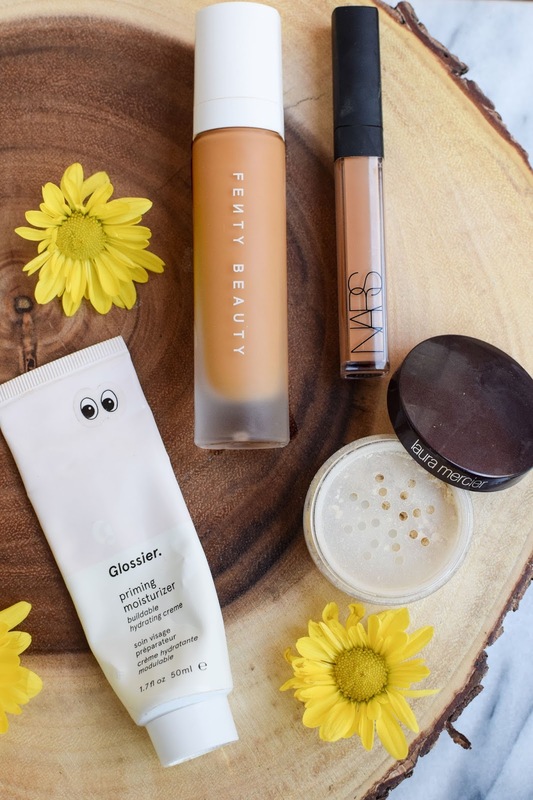 For a basic kit you'll want to find a concealer that matches your skin tone. Don't try to go for the lighter or darker ones that would be used for contouring because that isn't a beginner concept. Start small. 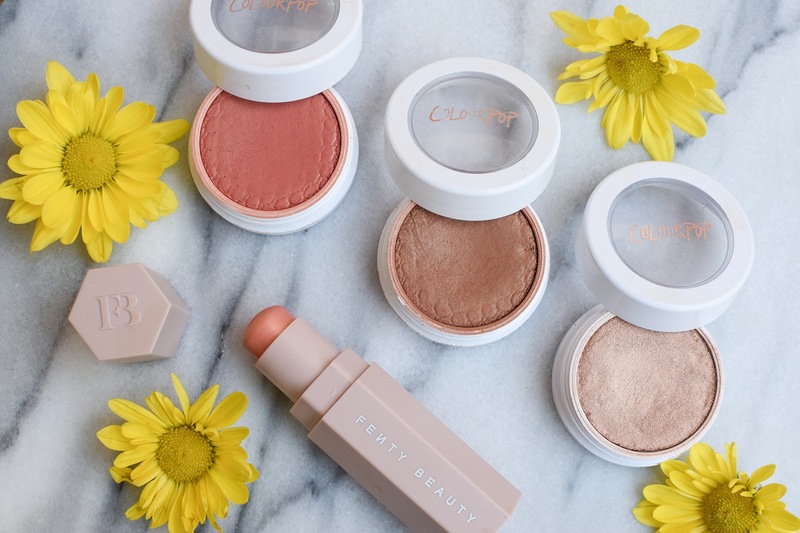 To complete your base you'll want a nice setting powder. I like to use my Laura Mercier Translucent Setting Powder and I use it to set my t-zone since that's where I usually get oily. A little goes a long way with this powder, and there's no need to "bake" when you're doing a natural look! So, moving on to my favorite part of a makeup routine - eyebrows. I don't leave my house without brow product on. Eyebrows frame your face, and IMO it's super necessary to fill them in. 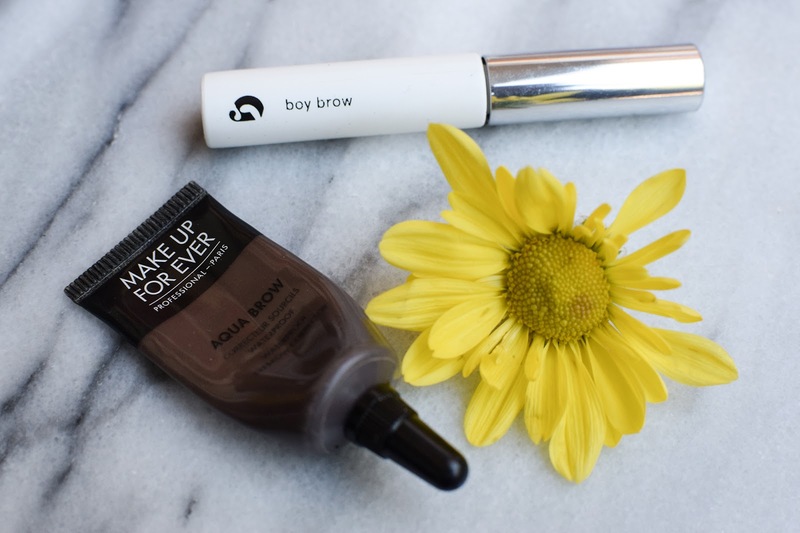 On chill days I'll opt for using Glossier's Boy Brow on it's own, but on days when I want a strong brow I'll use Makeup For Ever's Aqua Brow. Sometimes when I'm feeling extra fancy I'll use both! This next part of the makeup routine is where you add some color back into your face. Applying bronzer, blush, and highlighter gives your face some dimension and can make you look super refreshed and alive! I like to apply bronzer to the hollows of my cheeks, along my jawline, forehead, sides of my nose, and as a lid color on my eyes. This gives me a nice sun kissed look and adds depth to my face. Next, I'll apply highlighter on my cheekbones, center of my nose, brow bones, and inner corners of my eyes. I'll finish off this part of the face by applying blush to the apples of my cheeks for a nice rosy look. The last step in the routine is what I like to call the "finishers". These add the final touch and pull the whole look together. Mascara darkens and lengthens your lashes to make your eyes appear more awake, and lip balm gives you hydrated and plump lips. I like to use a lip balm that has a hint of color in it, like this Balm Dotcom.